The Martha Stewart Living Bedford Matchbox Catch with Strike features a beautiful polished and brushed nickel finish that will accent any cabinet. This catch is easy to install and comes with 6 fasteners for your convenience. Limited lifetime warranty. This closet door large ball catch is constructed from solid brass. It features an adjustable mortise and it is designed to fit an 11/16 inch diameter hole. This type of ball catch is best used on swinging closet and pantry doors. This bullet catch is constructed from heavy-duty diecast and comes plated in brass. It features a spring loaded steel ball that keeps your doors held shut. Best used on interior closet and other utility doors. Brushed Nickel Matchbox Catch The Martha Stewart Living Bedford Matchbox Catch with Strike features a beautiful polished and brushed nickel finish that will accent any cabinet. This catch is easy to install and comes with 6 fasteners for your convenience. Limited lifetime warranty. Brushed Nickel Matchbox Catch is rated 3.6 out of 5 by 42. Rated 2 out of 5 by catlady from We purchased two of these a few years ago to replace a pair of antique knobs over 100 years old ... We purchased two of these a few years ago to replace a pair of antique knobs over 100 years old (that still worked just didn't match our color change). One knob no longer works - the knob just spins and spins. We have to leave the door ajar in order to have access to the inside. Not happy. Rated 5 out of 5 by Jodi from Worked great to provide the timeless character we were looking... Worked great to provide the timeless character we were looking to add back to our renovation project. Rated 3 out of 5 by CO from The throw on the bolt is short. Therefore the fit... The throw on the bolt is short. Therefore the fit on the latch needs to be quite close. 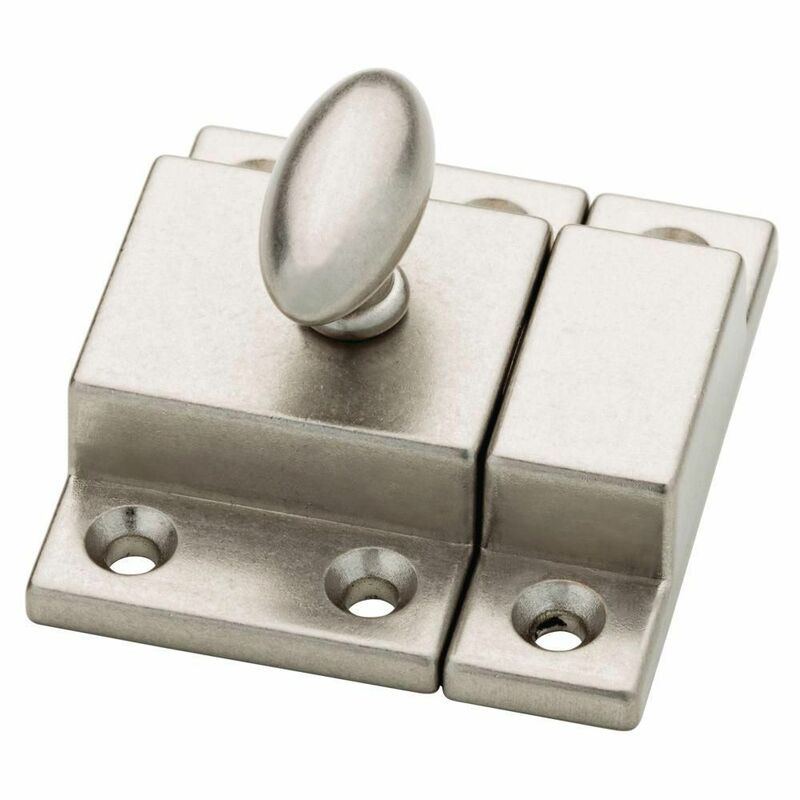 We used a pair to replace old matchbox latches on a cupboard. The old latches were more substantial.